Enter into social game industry. Facebook along with its social activities brings numerous ultimate games for its users. Facebook’s gaming managers have really done a great job to grow the engagement and monetization of users on their own platform. Sean Ryan, director of games partnerships at Facebook once stated that Facebook is not worried about Google+ games rather Facebook is showing off new changes aimed at optimizing the social network for both game developers and their fans. Facebook has nearly amazing boost of users as compared to any other social network which makes high-boost traffic on Facebook. The company is keeping on doing hard work to release new innovations for improving game usage and monetization on Facebook which in turn would give its user a wonderful experience being present on Facebook. And the amazing thing is that, it is about 90 games on Facebook having more than 1 million monthly active users. 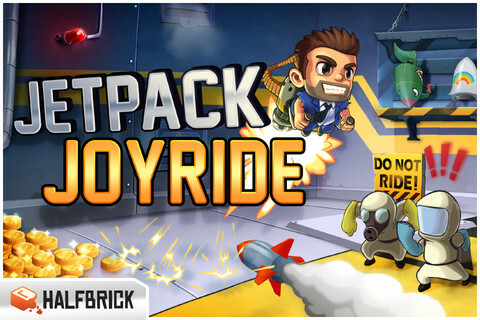 Jetpack Joyride is developed by Halfbrick Studios, creator of Fruit Ninja! The game application is solemnly designed for iPhone and iPad, and is Compatible with iPhone, iPod touch, and iPad.Requires iOS 3.1.3. Jetpack Joyride is simply an amazing game that gives you a wonderful action gaming experience. You’ll start off with the legendary Machine Gun Jetpack to scatter the evil scientists, but throughout each game you’ll collect coins and complete missions to earn cash and buy new gear in The Stash! Pick your favorite jetpack, snazzy outfit and stock up on items then get back out there for more action! The game has it has 1.3 million monthly users. The game has 4.4 stars average voting. Stay out of harm and you’ll reach massive scores, unlock Achievements and beat your friends! 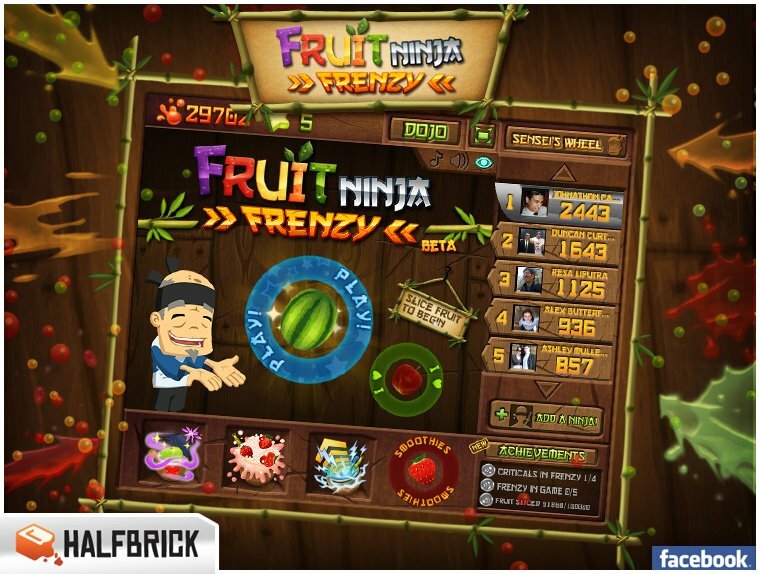 Fruit Ninja Frenzy is an action mind blowing video game from Halfbrick Studios. Practice your Ninja skills by slicing and dicing fruit, the game gains 4.3 stars average voting. 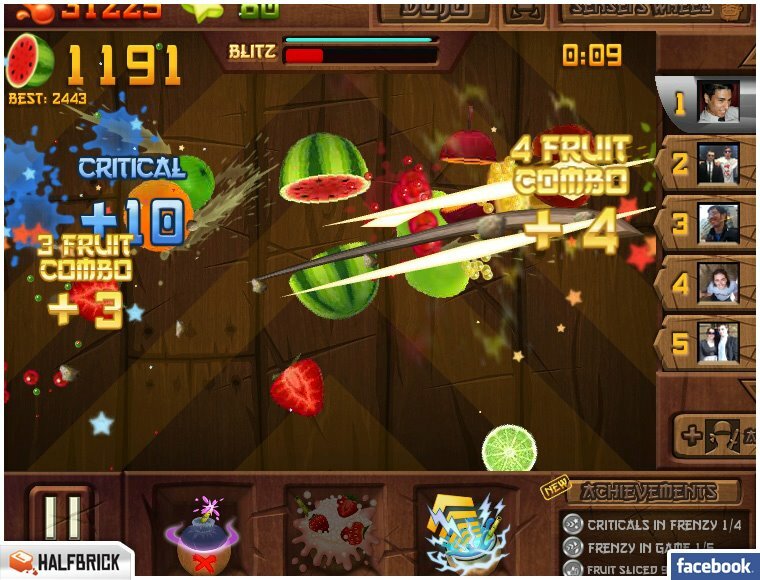 Enjoyed by millions around the world, Fruit Ninja Frenzy is the messiest and most satisfying game on Facebook! Enjoy the juicy satisfaction of fruit being sliced and become the ultimate bringer of sweet, tasty destruction with every slash. OVER TEN MILLION FRUIT NINJA COPIES SOLD! The game has over 5 millions people on Facebook. Pool Live Tour will take you to an amazing tour of Pool play where you can buy awesome cues and the game offers you a multi-level of play with a League- play option. With each wining you gets coins which helps you to buy new cues and you can recharge the particular cue as its battery gets empty after playing so many games and you can register for a League-Play after getting 500 coins of game. Build up your reputation as a famous pool player! Play for Pool Coins against top pool players from all around the world. 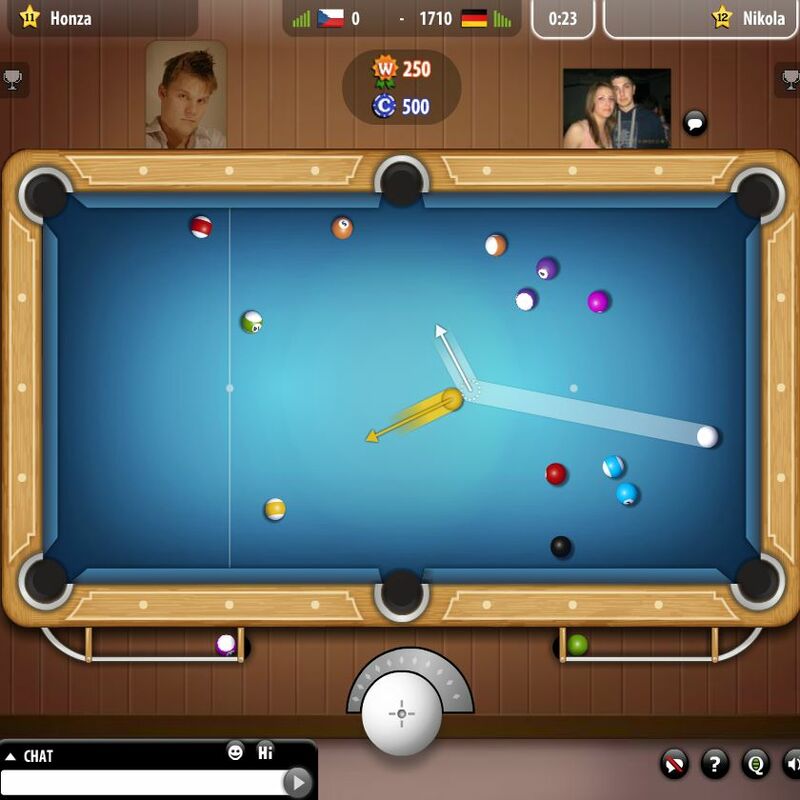 Join the millions of people already playing this popular multi-player billiard game. Play with your friends and other real players from around the world. Discover 8 ball, 9 ball and snooker as you progress through the original levels and locations. Collect trophies for your best pool shots! Join your friends and get in on the fun. 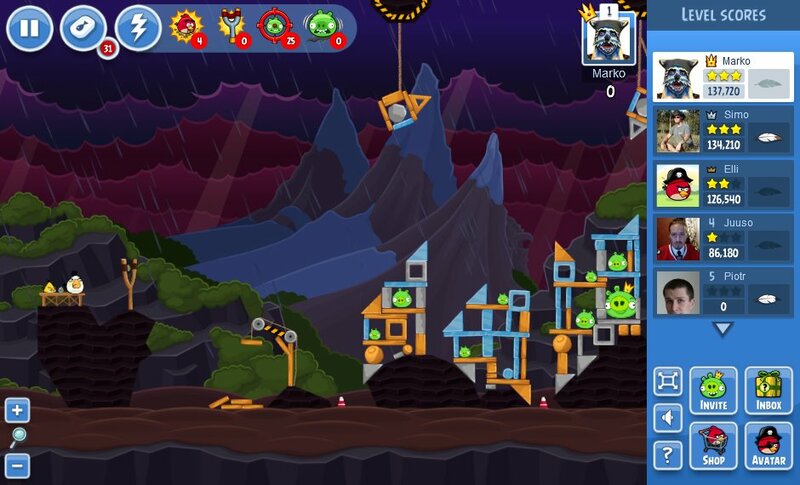 Play Angry Birds on Facebook now! Give yourself an edge in the battle against the pigs (and your friends!) with four awesome power-ups. Participate in a different game mode with the Mighty Eagle and collect total destruction feathers from all your levels. The game has over 14 millions players on Facebook.